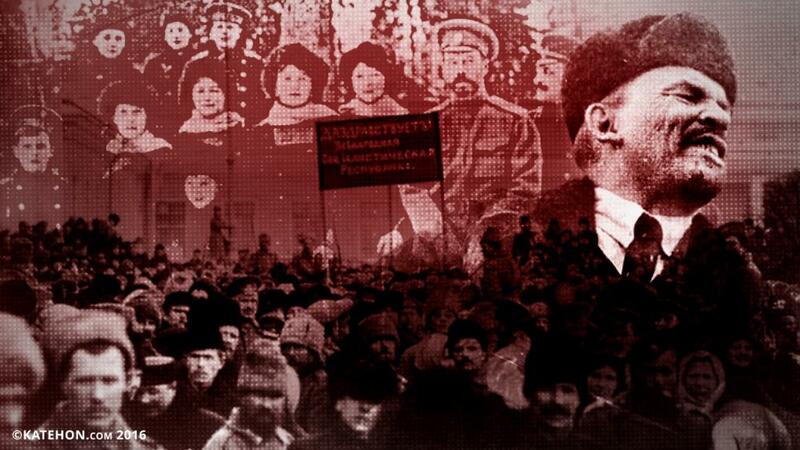 There is much that must be said about the October Revolution. This is undoubtedly a part of our history and we bear responsibility for it. Therefore, we are simply obligated to understand this event’s meaning. Firstly, in Soviet times, the October Revolution was revered as something almost sacred, as a seminal event marking the beginning of the Soviet cycle. In the USSR, this date was considered the beginning of infinite time eventually leading to communism. But as it turned out, this was merely one epoch that began in October 1917 and finished in 1991. This means that the Soviet understanding of the October Revolution is profoundly incorrect. We took one thing for another and foolishly clung to an old interpretation. We must find a new explanation for this event, as the old Soviet one has turned out to be false. Secondly, this positive, idealized assessment of October 1917 prevailed in our society as the only possible one for 70 years. This was false, which means that we must seek another explanation. And it is important to take into account the position of the other half of the Russian people, which was not for the Reds, but for the Whites. For the Whites, the revolution was the result of a monstrous conspiracy of a hellish, purely Satanic sect that used deception and violence to seize power and radically abandoned any legitimacy after the dissolution of the Constituent Assembly. Moreover, the Whites especially stressed that the Bolsheviks consisted largely of national minorities and relied on foreign brigades, such as Latvian riflemen or even Chinese soldiers. In other words, October was seen as a violent seizure of power by a Russophobic terrorist organization. This purely negative assessment is likely just as far from the truth as the Soviet one. Indeed, it is. The White Guards’ conspiracy theory is just as unacceptable as the Soviet worship of the October Revolution. The truth here is somewhat asymmetric. Everyone is familiar with the false Communist interpretation, while far fewer of our citizens are familiar with the dubious and simplistic White Guard version. It is necessary to at least fix this error and equate these two equally questionable theories, both the Red nonsense of the socialist nature of the revolution (in an agrarian country with underdeveloped capitalism and almost no proletariat!) and the White nonsense of a Jewish conspiracy. But since the Red nonsense is represented in thousands of films and plays, then let there be just as many monuments to the White nonsense. We already have a foolish explanation of October in the form of the communist one, which is a lie so widespread that any attempts to publish the White Guard theories in the spirit of Ataman Krasnov immediately provoke a storm of protests. From the point of view of historical justice, today the Whites need to be given an absolutely free floor. They must even be aided in this until balance is restored, especially since the perception of October as a catastrophe is entirely justified, as our people paid for it with millions of its best sons and daughters’ lives. Thirdly, we must seek to explain the genuinely profound historical meaning of the October Revolution, or October coup, beyond the Reds’ and Whites’ incorrect and simplistic interpretations. However, here we encounter a very important methodological problem. History is the science of interpreting facts, and not only facts themselves. Facts without interpretations do not exist. Therefore, it is impossible to assess such an ideological event as the Revolution (or coup) without basing ourselves on some kind of ideology. The Reds and Whites have their ideological platforms. Even their false and contradictory explanations are more reliable than the helpless theories of those who claim objectivity. There is no objectivity in history - this is only a rhetorical figure of speech. Thus, until we determine the worldview platform of our contemporary society, and until we recognize ourselves today, the meaning of the events of October 1917 will remain inaccessible and closed off from us. Fourthly and lastly, 1917 was an inter-Russian phenomenon. This was a monstrous drama for some and a great achievement for others. Only we ourselves, Russians, can decide what 1917 in fact was and how it correlates with the general logic of Russian history. This is our business and our revolution. Therefore, we alone are tasked with piecing this puzzle together. No one else.